To say that Alex, age 17, was overwhelmed when she gave birth this past spring would have been an understatement. She had dropped out of high school and was on her own and homeless. She had no relationship with her mother, who was using drugs and had spent most of her life in and out of jail. She did not qualify for foster care and did not know where to turn. Financially, Alex was completely broke, and emotionally lost. A family friend offered her couch to temporarily stay on during her last month of pregnancy and helped her reach out for services that could help her and soon to be newborn. 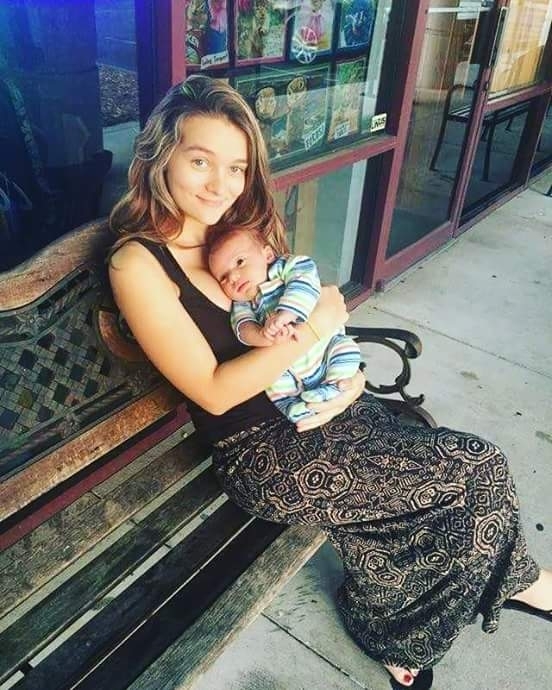 The Sarasota County homeless education team (Schoolhouse Link) responded by having a case worker visit Alex and her child and establish the beginning of a long-term supportive relationship. Community referrals were made for things like emergency shelter, childcare, GED classes, and other supports needed for her and her newborn baby. With the assistance of subsidized childcare, Alex was able to enroll her son Jax in a quality childcare program providing her the opportunity to enroll in a GED program, get a job, and interview for a transitional living program. Alex credits others for helping her and has greatly benefitted from the support of friends, the assistance of a case worker to help find resources, and immediate access to quality childcare. The childcare access really was a cornerstone service because she was able to sign up prior to enrollment for her GED and before she got a job. Having access to priority childcare really changed everything for them because it meant that both Alex and her son could move forward together. The importance of prioritizing children whose families are experiencing homelessness for subsidized childcare programs can’t be overstated. Prior to the State of Florida changing its Early Learning Coalition priority groups in 2014 to include children who are homeless, long wait lists and unaffordable care was the norm. In many local surveys, access to subsidized childcare was identified as the number one barrier facing families who are experiencing homelessness. This past year 275 homeless children received prioritized childcare services in Sarasota County. Close to half of these referrals came through the County’s homeless education team. Immediate access to affordable quality childcare programs allows children to have a safe supportive place to learn and grow and for their families to work on increasing their self-sufficiency and obtain permanent housing. The Early Learning Coalition of Sarasota County works together with parents to meet their child’s early learning needs, as well as with families with financial needs who are working hard to help themselves. Many times children in a homeless situation are experiencing stresses that consistent early education can help to overcome. Going to a quality early learning site consistently provides children with an environment where they have the same teacher, and see the same friends each day. They know what to expect and can count on it. Skills learned there can help, not only with coping with their current living situation, but those early learning experiences from birth up to kindergarten set the foundation for their life success and ultimately the success of our communities.